It's (nearing) the end of the season for most people and so we thought we would have some fun and run a little competition as a chance for everybody to show off their best single hit from the season. Must be skiing. Sorry no snowboarding, skating etc. Snowblades & Monoski count. Post below your best single shot from this season. No whole edits. one trick/line only. Doesn't have to be a shot from in the park on rails or jumps. Big mountain & urban count too. No restrictions on where in the world. Entries & voting will close 21st April. 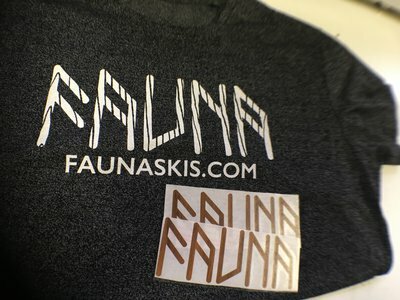 Most upvotes win a Fauna Skis t-shirt & stickers. If the most upvoted shot doesnt meet the rules, you will be DQ'd, next most upvoted wins. We shouldn't have to say this, but it's just a bit of fun to win a t shirt, please don't cheat. No like and share BS, no giving us your email for spam, just a plain ol' popularity contest. Do we just post in this thread? skiP.E.I. Do we just post in this thread? Yeah. You can upload it right from your camera roll in the app or your computer, by using the upload button in the reply box. fastslide from a November sesh at Camp Fortune in Gatineau Quebec. first time actually laying out a backie from two weeks ago, funnest trick ive ever done! Surely somebody can derail the runaway train that is Dlonetti. There are some solid entries so far but still plenty of time for a game changer. FaunaSkis Surely somebody can derail the runaway train that is Dlonetti. There are some solid entries so far but still plenty of time for a game changer. Welp, you've done it. Early ups gets first tracks. DM with your address and T shirt size and we'll get that posted to you. Thanks to everybody else who took part and voted. We want to do more competitions like this in the future, with better prizes as we can afford more, maybe bindings, eventually skis.